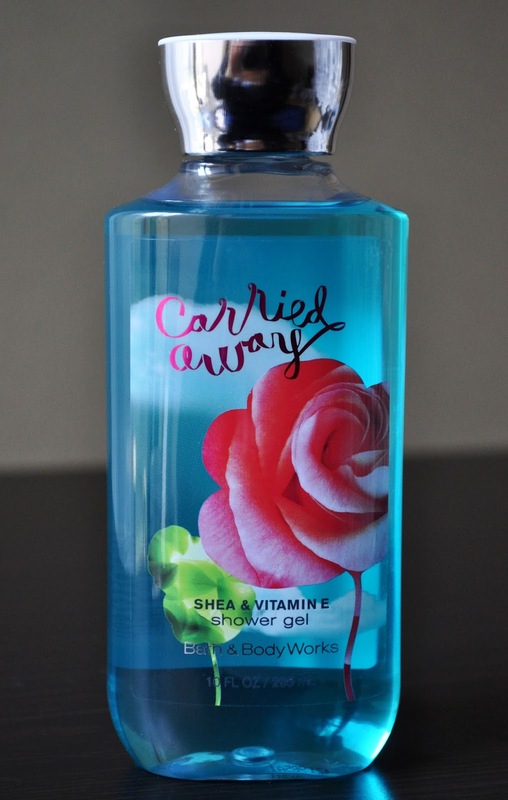 A Bath & Body Works Online Exclusive, April's Shower Gel, in Carried Away, is a fitting fragrance for the transition into Spring. Top Notes: Italian Bergamot, Lemon Zest, Mandarin Orange, Juicy Pear Nectar, Lush Raspberry. Mid Notes: Purple Freesia, White Tuberose, White Jasmine, Soft Violet Petals. Dry Notes: Creamy Sandalwood, Whipped Vanilla, Light Musk. When I read Bergamot, Tuberose and Violet in the notes description, I was sold. As hard as I sniff, of the three, the Violet is the only scent I can barely make out. The raspberry and freesia dominate all of the other scents. I do like the breezy, cool floral/fruitiness, with a hint of sweetness fragrance. It's just a shame the three notes that drew me to buy this shower gel were just that, carried away. Oh my! This I got to try out! It's a lovely scent of the cooler beginnings of Spring.